Divers on the Treasure Coast can expect great diving provided the weather cooperates. Photo credit: Steven Wood. Diving on the Treasure Coast in November can be very exciting. Cooler water temperatures mark the return of large migrating fish species to area dive sites and spearfishermen should be ready. Staying prepared to take advantage of calm seas on short notice will allow divers to make trips offshore when the opportunity arises since sea conditions can be challenging this time of year. Even when it’s too rough to clear the inlets safely, savvy divers may still find places to get wet if they pay attention to the tide. 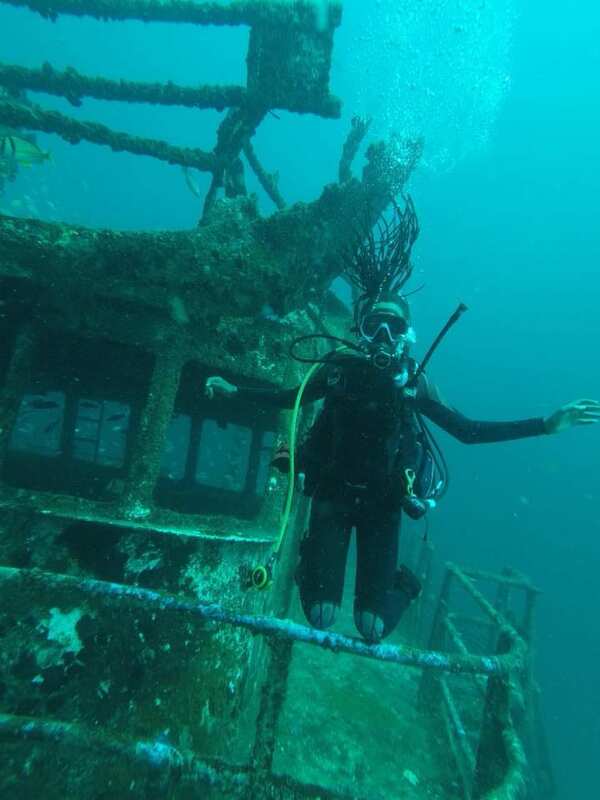 Diving is great in our area year-round. Unfortunately, strong winds associated with cold fronts could make area inlets challenging or even treacherous. Divers should keep tanks filled in advance, dive sites selected, and gear packed so when conditions cooperate on short notice they can take advantage. Many times, weather windows can be short, allowing for a quick morning trip while calm seas allow before the next front arrives. As fall progresses and temperatures drop offshore, large fish should return to area waters. Spearfishermen will notice the return of large gag and black grouper to area reefs and wrecks when water temperature hits the mid to low 70s. Cooler water may slow fish making them easier to spear but the same affect has been noticed on divers too. Under prepared divers might consider adding the following equipment for cool-weather diving. Beneath the surface 5mm wetsuits, hooded vests and neoprene gloves help from becoming cold in the first place. On the surface, basics like dry clothes, a beanie hat and a knee-length dive parka (a “boat-coat”) help block the wind and warm chilled divers.